Save $1 on any of the participating Agropur cheese. Save $1 on Green Works product, excluding dishwashing liquid. Save $1.50 on Weetabix cereal 400 g.
Sae $1 on Catelli Gluten-Free product. Save $1 on Celestial Seasonings tea. Save $1 on Dairyland Lactose-Free Milk. Save $1 on Kashi Cocoa Spice cereal, Sign in to your account to print this coupon. 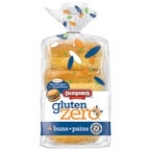 Enter the contest and print coupon for $1 off any Silver Hills bread product. Save $3 on Mederma PM product. Save $1 on Royale Tiger towels, 6 rolls or larger. Save $1 on Annie's pasta. Save $0.55 on Kikkoman soy sauce. Save $2 on your next purchase of any Frito-Lay Multipack (18ct any variety). 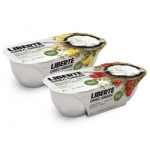 Get up to $7 worth coupons for Danone Oikos products. Get a free package of Ozery Bakery Morning Rounds. 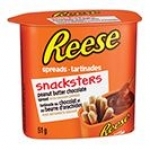 Save $1 when you buy 2 Reese Snacksters 51g.